If you are ready to renovate your kitchen, then there are a few things that you should consider before you start ripping out cabinets and knocking down walls. Having a plan before you start, and talking to the right experts will go a long way in getting you an excellent quality, highly-functional kitchen that you and your family will love spending time in. Here are some tips from the team at Dash Builders to help you get into renovating your kitchen. You do not want to improve your kitchen to the point where it no longer matches your home. A good rule is that your renovation budget for your kitchen should not be more than 15% of the value of your home. There are many websites where you can get an approximate value of your home online. It is super convenient to go to a home reno store or big box stores where they offer free design services for your new kitchen. Often, these "designers" have no formal training and are limited to recommending only their own products or minimal products from a few providers they have agreements with. It is worth it to either hire a designer, who is not limited in choices or to go with a reno company that has a designer on staff. A designer will be able to make the most of the space and help you budget; they know where to splurge and where to save. It may not be worth it for you to do a full kitchen renovation if you are going to be moving soon. You may not be able to make back the money you invested into your new kitchen in a move and so rather than doing a full renovation, consider doing a cosmetic renovation. You can repaint or stain the kitchen cabinets, get new fixtures and a new sink, and even replace and upgrade the counters for cheap. You may even be lucky enough if your home is older, that under the linoleum there is beautiful hardwood. Homes that were built before the new millennium tend to have smaller kitchens. If you have a kitchen in an older home, then you will want to consider adding space to your kitchen if you are doing a major renovation. You can build into the hallway, remove a front hall closet, or even add an addition or a bump out if you are truly strapped on space. 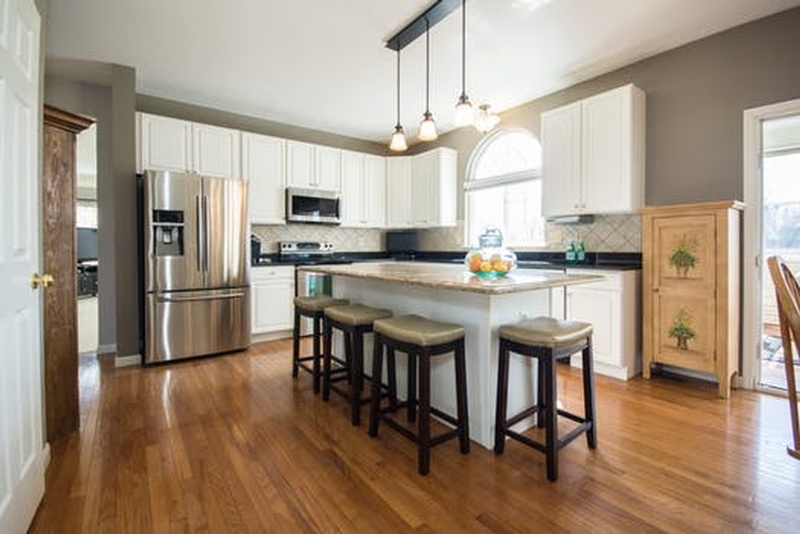 You can also consider knocking out a wall to create an open floor plan, which can give you more kitchen space or at least the feel of more kitchen space. Kitchen renos can become pricy quite fast. You can try to keep your costs down by keeping original windows, being smart with your appliance upgrades, and not rerouting plumbing and electrics by keeping them in the same spaces. If you are looking for a basement renovation, bathroom renovation, or kitchen renovation, Dash Builders are here for you. We have the experience and knowledge to create stunning spaces that you will love to live in. Contact us today!